Dr. McGrath has been supporting students and public educators for more than 30 years in both urban and suburban settings. Currently, she works as a consultant to schools and districts in the area of organizational leadership. 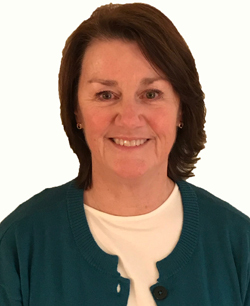 In this capacity, she has worked extensively with superintendents and District Office teams as well as with principals and their school leadership teams on increasing student achievement through analysis of data, curriculum, and instruction. Prior to her work as a consultant, Dr. McGrath was an administrator with the Chula Vista Elementary School District. During that time, her educational career ranged from being a site-level principal and district director of curriculum, instruction and assessment, to working as a Reading Recovery Teacher Leader, staff developer, language arts magnet coordinator, and classroom teacher. In addition, Dr. McGrath is a member of the faculty with the School of Teacher Education at San Diego State University, supporting the Master’s in Reading program.